Sarcastic Quilter: Weigh In Weds. - Insanity completed! Weigh In Weds. - Insanity completed! When asked about the program I find 2 things pop to mind right away. 2) I took a leisurely tour through Insanity. Back to the program, though. If you've never heard of it, feel free to check out this You Tube video. It's a condensed version of the infomercial. If you've heard of it, let me explain why I say I took a leisurely tour. It is a 2 month (60 day) program that offers a year's results in that time frame. I took just about 3 months to complete it. I repeated a couple weeks to ensure I was feeling okay about and strong enough to progress to the next step and there were the weeks I stepped back to start back up with a friend who took a break. I also took a week off. When I decided enough was enough, I dug in and finished the program. So, instead of 2 months, it took 3. Before I get into the show and tell, I should also add that there is a nutrition plan with the workout. Highly recommended, of course, but not required. I chose to skim it then not pick it up again until the end of month 1. At that time, I skimmed it again, set it down and I still haven't picked it up. Here's why. I wanted to learn to take my own diet habits, likes and dislikes, and find a way to make those work along with better choices. Let me restate that. I wanted to learn how to eat properly on my own with the amount of exercise I was putting my body through. To choose better foods and meals but not lose out on what I love. The glass of wine, the steak, the ice cream, maybe. :) In other words, I wanted to make better choices but I wanted to live with what I choice I made, right or wrong. I wanted a lifestyle change in eating and exercise that I could/would maintain. That was my goal and no matter what the numbers say, I met that goal and I'm thrilled. Could I have had better results, I think yes. I also think, however, that this was the beginning of a life long change for me and I needed to do it this way and that is why I'm not short changing the effort or results I did achieve. I'm also still accountable for every bite I eat using the MyFitnessPal app on my iPhone. I have a daily caloric intake I should be achieve. After month 1, I saw NO results. Zero. Wait, that's not quite true. I did feel stronger and I could do a lot more of the workout after 4 weeks than I could in the beginning but I started wondering, where's all this weight that's supposed to come off? Why haven't my measurements changed? I thought about my food. I was eating a lot healthier and making better choices but then, something clicked. I was eating a light breakfast, working out, grabbing a snack and eating a decent sized lunch and dinner. I needed to eat 4-5 (preferably 5 for my body, I found out) balanced meals a day. That was hard. I think figuring out meals and making sure I get them all in and with generally correct calorie intake took me a full month of really close attention. I chose healthier meals out, and tried to cook better foods than ever that I could eat in smaller portions but would have a great impact on my needs. I'm glad I did. Within a week, I dropped 2 lbs and it seemed like clothes were starting to fit better. People were telling me they could see a change even if I couldn't. I didn't weigh myself or measure myself until the end b/c well, if they were just being polite, I didn't want to be discouraged, I wanted to see this through. With the new eating habit, though, I remembered what I knew before and had forgotten. Smaller and more frequent meals help keep your metabolism moving. Aside from the weight and inches coming off (which, remember, I was still not seeing at the time), I was feeling stronger and had more energy and I found I could work out with efficiency at any time of the day instead of the previous scenario where I was sluggish if I tried for an afternoon workout. One additional note, when I didn't lose, I asked a lot of questions on my fitness board and found a lot of people had little to no results, like me, when they started their 1st program ever. Turns out, there's this thing call a cortizol response to the stress where you reatin water like a crazy person & as a response to the stress, water is trapped around the muscles. After about 4-6 weeks, it starts dropping off. That could have contributed to my lack of seen results in month 1. Now, onto the fun photos. These were the first couple of days. There was a lot more sweat and I started to feel better. Note: my jumps didn't look like Tanya's I thought they did until I took the video. hehe But I'm getting there. And there was #sweatnsew! A super fun distraction. One day Amy over at Amy Lou Who Sews was chatting with Kelly from Kelbysews on Instagram (which is a great little app & a nice daily distraction to see what everyone is up to. Who needs Facebook? lol) They mentioned there should be a hashag for quilters who are also exercising. I think Kelly coined "sweatnsew". The way it works, post your pic and type in the hashtag and name. Then your pic is tagged in a group, of sorts. The hashtag becomes a hyper link and anyone who searches under that hashtag or clicks on the hyperlink is taken to the group page of photos with the same tag. Additionally, I was checking in and participating more regularly with my Coach's challenge/support group. (Beach Body will assign you a coach or if you know one you can sign up with a coach when doing a Beach Body program for support, questions, assistance). I happened to meet this coach at just about the same time I was starting Insanity and she invited me in. Oddly, we met through Instagram photos tagged for vizsla. We both have vizsla pups. :) Anyway, she invited me in and it worked for me. They are wacky and nutty, I dare say "crazy silly." Committed to being fitter and healthier but they know how to laugh. They can empathize, motivate and offer support. I would not be half as energized today as I am if I didn't have these people "in my corner" so to speak. It's actually making me consider being a coach myself but that's a conversation for another day. For all of them, and especially my coach who welcomed me and has been a great supporter, thank you, I am so lucky to have landed with you. Finally, the day came and I took my final fit test (you take fit tests throughout the program so you can track how much stronger you are and how much more you can accomplish as time goes on. It's really a great idea.) I was surprised at the change in my numbers. It really is easy not to see progress when you are in the day to day but when you see side by side numbers and/or pictures and measurements. My friends, you can't help but be proud of yourself and know it was worth it. So how did the #s look? Weight Loss: 12 lbs. Total Inches lost (all msmts): 16.5"
My before and after photos! I just started Insanity the Assylum on Monday. After the 25 min. fit test alone, I was dripping in sweat. Insanity was hard and insane but this... this one, I think, is going to be so intense that being committed to the Assylum is about the only way to describe those of use doing it. With this one, it's 30 days so while I'm not following the nutrition guide fully, I am trying 2 things different. 1) to incorporate a good portion of the nutrition guide into my daily routine and 2) to drink a Shakeology shake every day. I have started the second part of this already and the first will be started this weekend when I can prep meals for next week. After I'm done, I'll let you know how it all went & give you my honest 2 cents. Whle this program may not be for everyone, health and fitness is. If you want to get healthier, no more excuses. Make a decision and step into it. Find a way to be accountable to yourself, to family, and/or to me, even. I'll help where I can. I am being honest when I say that even if I'm not at my goal weight, I feel good. I feel fitter and healthy and energized. I want you to feel that way, too. I hope you enjoyed the photos and forgive the long post. I'm just trying to keep it real! Congratulations Becky!!! You look great and it has been an inspiration to watch your workouts on instagram. 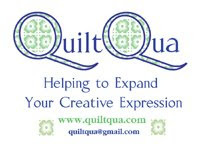 You really have helped to spark a movement in the quilting world and should be extremely proud of that as well as your own personal weight loss and dedication. Amazing, amazing work Becky! I love your fit test result numbers, what a great improvement! Yesterday I completed day two of Insanity, and it was tough. I took more rest breaks than I probably should have, but your post reminds me to keep moving forward no matter what. Thanks you for sharing and good luck with the Asylum. You can do it! Congratulations!! Seeing your progress on Instagram is very inspiring. I decided to do shakeology and insanity as well. I'm nervous and excited but SO tired of the fifteen pounds I lose and gain and lose and gain. I'm really impressed, Becky! Congrats on the progress!!! Watching your updates and #sweatnsew have been a big motivator for me. I'm interested to hear about the Shakeology...I'm kind of afraid of it. Congratulations! You earned it! I also went through Insanity and loved the changes it made to my body. I now do TapOut XT and prefer that one. I encourage you to give this workout a try if you need to try something new. Again, wow! Awesome! You go girl. I've been trying to get motivated to get back on Weight Watchers and you surely inpired me! cheers, Claire W.